Louisiana’s highest state court has affirmed that charter schools are public schools and deserving of funding through the state formula, ending a lawsuit that threatened the existence of 34 charter schools serving more than 18,000 students. 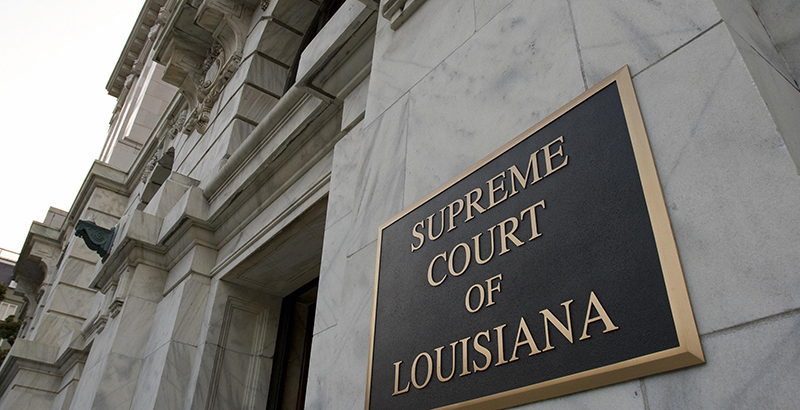 In a 5–2 decision, the justices closed a case that dates back to 2014, with a suit by one of the state’s two major teachers unions, the Louisiana Association of Educators, and a suit by a local school board that had a charter school approved for its district. At issue was whether Type 2 charter schools, which are authorized by a statewide body instead of a local school board, fit the state’s definition of public schools, and whether they could receive funding as part of the state’s formula. “This is big for us, and I’m hopeful that after 20-something years [of charter schools in Louisiana], we can stop talking about whether they’re public or not, and we can stop talking about whether they should be funded,” Caroline Roemer, executive director of the Louisiana Association of Public Charter Schools, told The 74. Louisiana’s per-pupil funding comes from state and local sources. When a student chooses to attend a Type 2 charter school instead of a traditional public school, the state gives the school board proportionally less funding and directs the difference to the charter school. A district court found in 2015 that charter schools are public under the state constitution and eligible to receive per-pupil funding under the current state formula, but the 1st Circuit Court of Appeal reversed the decision in 2017, ruling that the funding distributed under the formula should be only for schools under the control of local school boards. The Supreme Court’s decision, expected to be the final say, was being watched by charter supporters nationally. Renita Thukral serves as the senior national legal adviser for the National Alliance for Public Charter Schools, which provided support to the Louisiana charter association. Thukral grew up in New Orleans and worked in Louisiana for three years. She followed the case closely and believes the outcome echoes similar findings in Mississippi and Washington state that recently upheld charters as public schools. Debbie Meaux, president of the Louisiana Association of Educators, sees the decision as hurting traditional public schools. “When you’re trying to fund two separate school systems out of the same pot of money, it opens up a lot of acrimony, because school districts are seeing their local money being charged against them so charter schools can benefit while their schools are not benefiting,” she told The 74. Meaux offered that one potential solution could be to give taxing authority to the statewide body that approves Type 2 charter schools, the Board of Elementary and Secondary Education. There are now 41 Type 2 schools, and a different ruling would have adversely affected 34 of them (with seven others, known as Legacy Type 2s, having slightly different funding), according to the Louisiana charter association. There were 148 charter schools, of all types, open at the start of the 2017–18 school year, including 30 that started with local school board approval (Type 1) and 46 that started with state board authorization in the Recovery School District. If the Supreme Court had ruled that charters were not public or were ineligible for money from the state funding formula, charter school advocates would have needed to ask the legislature to appropriate around $80 million to $100 million beginning July 1, the start of the new fiscal year. The state is already facing a more than $700 million shortfall for next year’s budget. The day after the verdict, Roemer, of the Louisiana charter association, was back in the legislature, preparing for what she says will inevitably be another attempt to limit charter schools. But for now, Roemer, who has a 9-year-old son, said she is just relieved that a case that has existed for nearly half his life has been resolved.